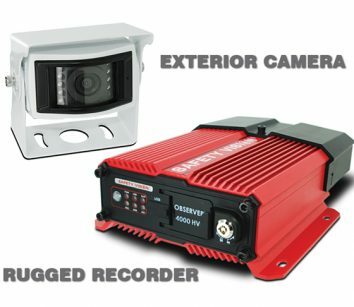 Our HD cameras offer greater clarity of recordings for reviewing video. With the best quality footage, you can help better identify details during incident investigations. Invest in an advanced surveillance system to gain complete security in and around the vehicle. Recorded footage will protect you against any false claims and ultimately save you money. Call 800-880-8855 or visit www.safetyvision.com.